HERAT -- Iran was behind a recent Taliban attack on an Afghan border forces battalion in Pusht-e-Koh District, Farah Province, according to a senior Afghan official. The November 6 Taliban attack was one of the deadliest on Afghan border forces, as at least 20 troops were killed and another 20 were captured. "The intelligence agency of the neighbouring country is directly involved in this war, providing help to the armed Taliban militants," said Gen. Fazl Ahmad Sherzad, former police chief of Farah Province. Sherzad is referring to Iran, as it is the only neighbouring country that borders Farah Province. "There is no doubt that intelligence agencies... play significant roles in the war in Afghanistan," he told Salaam Times November 10. "Hostile forces cannot penetrate an established and resisting military base and battalion," he said. "Therefore, others must have interfered with this situation, and other intelligence networks have had their hands in this as well." "Taliban attacks have recently increased in various parts of Farah Province and the militants have suffered enormous casualties," he said. 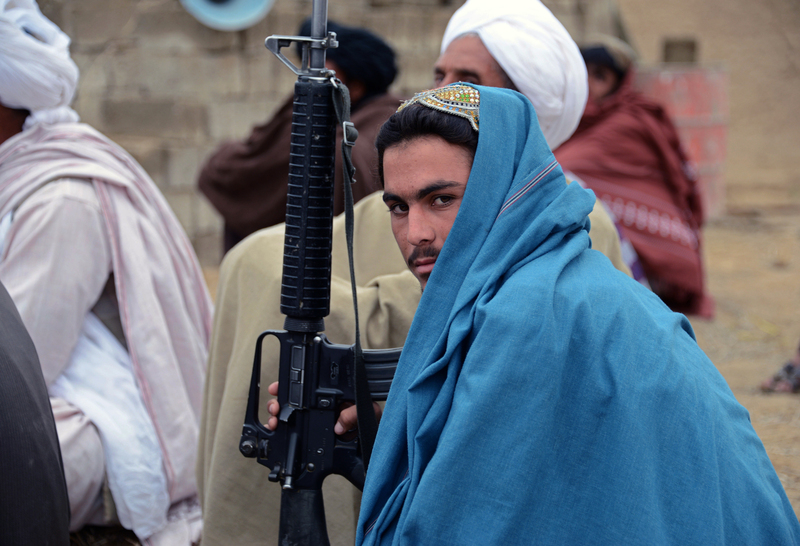 "There is no doubt that the Taliban are being sponsored by an intelligence apparatus." Gen. Sherzad was replaced by Gen. Rahmatullah Sediqi on Thursday (November 15). "Iran has a long history of interference in Afghanistan's internal affairs, especially since the new and current Afghan government has come to power," said Sayyed Ashraf Sadat, a civil society activist in Herat Province. "Iran has been interfering in [Afghanistan's] western provinces, especially in Herat and Farah," he told Salaam Times. "Iranian-made weapons have been discovered and confiscated in Farah Province time and again, and this is a clear indication of Iran's interference in Afghanistan." "The role played by Iran against the border guard battalion in Farah Province is obvious," he said. "The evidence that remains in place after every attack proves Iran's direct involvement, which in a sense is a declaration of war on Afghan security forces." "Ever since the international community, especially the United States, set foot in Afghanistan, such countries as Russia and Iran have been hard at work to undermine US interests," he told Salaam Times. "From where do these thousands and thousands of tons of explosives enter Afghanistan only to destroy roads, bridges, mosques, shops and all of our infrastructure?" said Herat Province Police Chief Gen. Aminullah Amarkhil. "You can see that over the past year, advanced weapons equipped with night-vision scopes have been provided to armed opposition groups," he told Salaam Times. "These are extremely advanced weapons with high targeting capabilities. As a result ... it has become clear that there is an illegitimate and super dangerous front organised in this war." "There is an extremely powerful, mysterious hand that unfortunately has unleashed this war against us," he said. "Nevertheless, we defend every inch of our country against these enemies." The Iranian government is using the Taliban as a tool to advance its political and intelligence objectives in Afghanistan, according to Afghan political experts and civil society activists. "There is no doubt that a number of Taliban militants are nothing but puppets of regional intelligence agencies, especially in the hands of the Iranian politicians," said Abdul Qadar Kamal, a political analyst in Herat Province. "The Iranian interference, both clandestine and flagrant, is one of the factors contributing to the expansion of the insecurity and crisis in [Farah] Province," he told Salaam Times. "Many senior Afghan military officials, as well as some local officials in Farah, have stated that Iran is directly involved in the war in Farah," he said. "Therefore, there must exist many authentic and undeniable evidence and documents, based on which Afghan officials make such statements." "It shows that Iran is involved in the war in Farah and has provided the Taliban with highly advanced weapons that include weapons with night-vision capability," he said. "There is no doubt that Iran has played a role in the fall of the border forces battalion in Farah Province," Hamidullah Faruqi, a civil society activist in the province, told Salaam Times. Thousands of Taliban fighters are undergoing military training by Iran's Islamic Revolutionary Guards Corps "and their goals are to capture Farah Province and to prevent the construction of Bakhshabad dam", he said. "Iran's political and strategic objective is focused on the Bakhshabad dam, so that the dam's water can enter to Iran free of charge," he said. "Iran also wants to score an achievement, considering the economic sanctions which have been imposed upon them by the United States." "Of course, this was not the only instance of Iranian interference," he said. 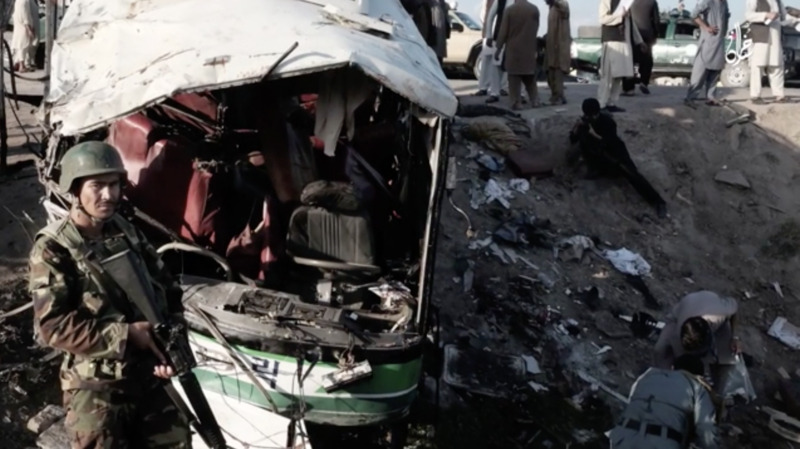 In May, Taliban fighters backed by Iran attempted to seize the provincial capital of Farah, but were forced back after a day-long battle waged by Afghan and NATO Resolution Support Mission forces. "Therefore, it is possible that in the future [the Taliban] will try to work towards attacking other battalions and districts in Farah Province," Faruqi said. "Iran's direct interference and involvement in Afghanistan is indeed Iran's declaration of hostility toward the Afghan government, as well as the people of Afghanistan," he said. 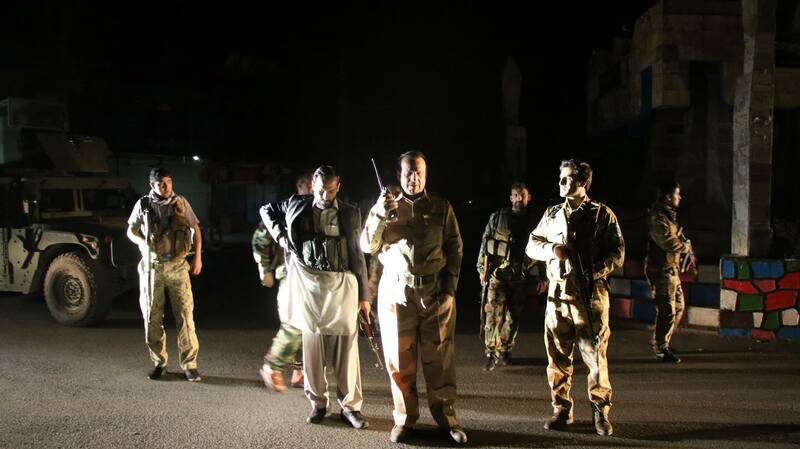 "Do not take the [attack] of May 15 lightly and as a simple matter," Gen. Nurullah Qaderi, commander of the 207th Zafar Corps of the Afghan National Army, told Salaam Times in an earlier interview. "This [assault] was planned and premeditated," he said. "We share a 290-km border with Iran, a country that we call our friend, but on the contrary, Iran is our enemy." Iran is attempting to destablise Afghanistan's economy and security in order to make Afghanistan dependent on Iran, observers say. Evidence is clear that military and financial assistance from Iran is fueling Taliban attacks across Afghanistan.